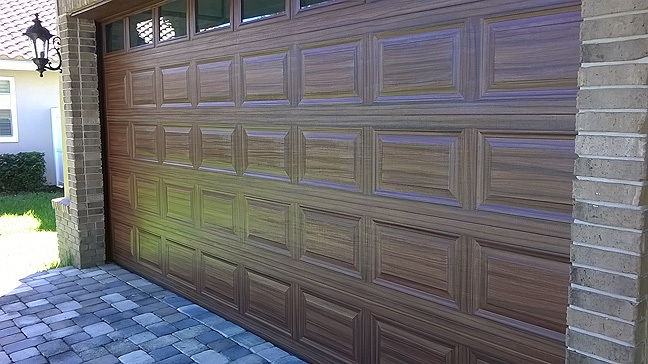 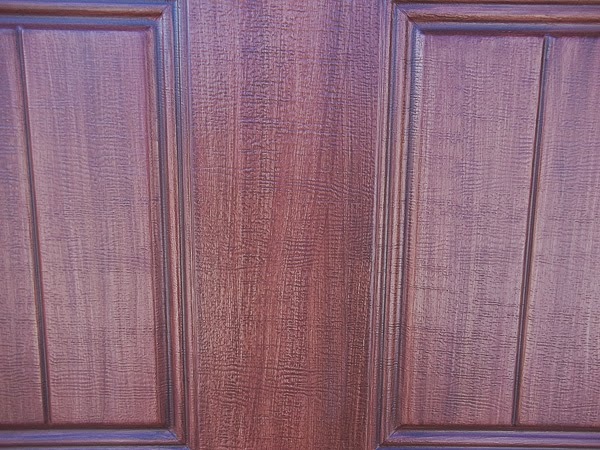 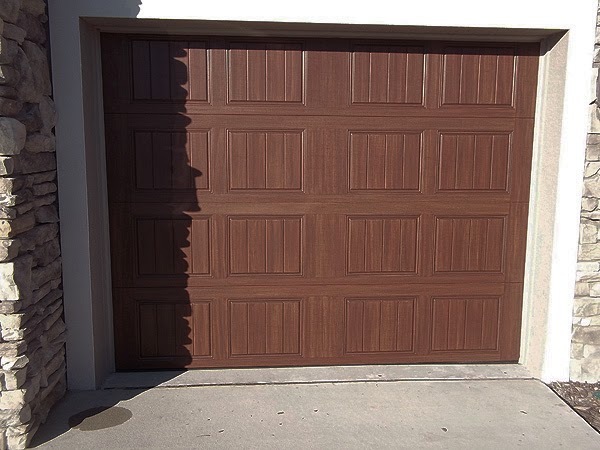 Painting a Steel Garage Door to Look Like Wood In Odessa, FL. 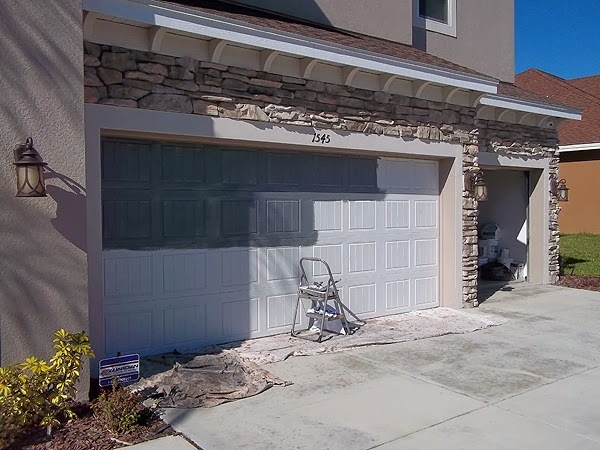 It was a cold morning but I managed to finish the garage door project today. 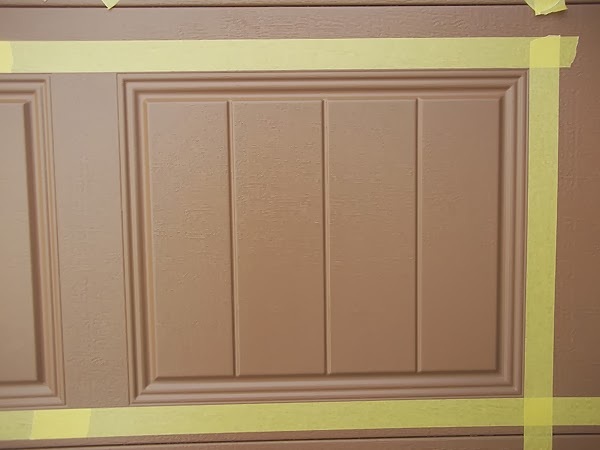 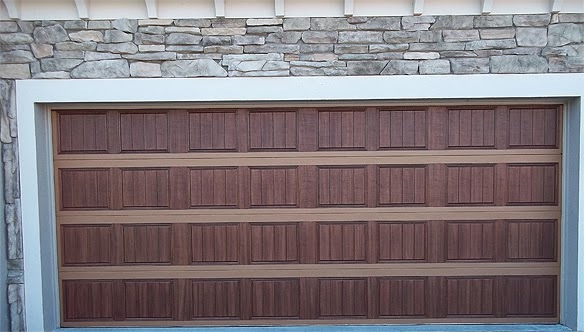 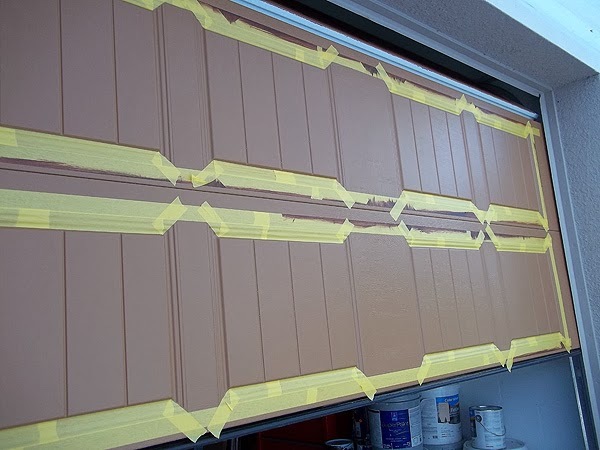 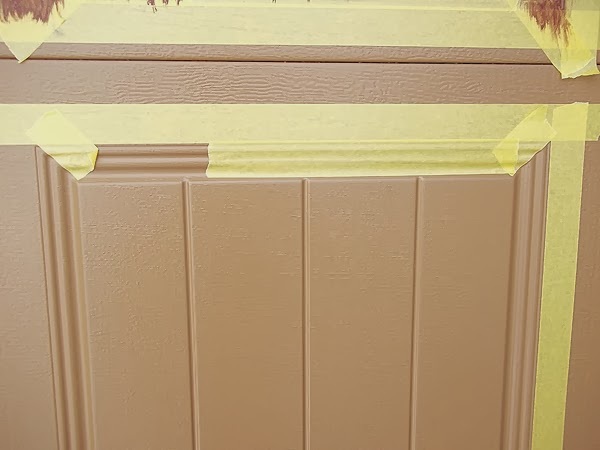 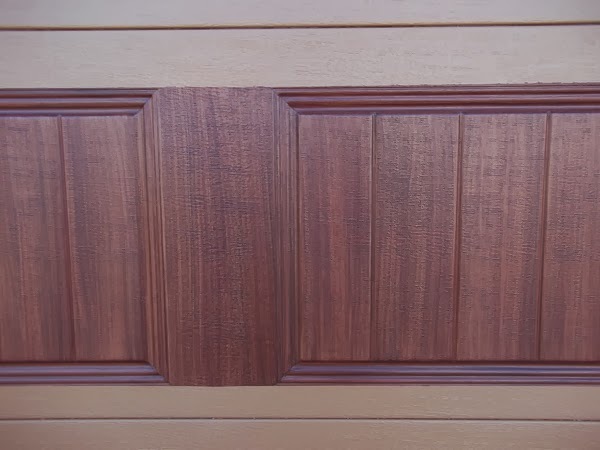 The last step in painting a garage door to look like wood is to apply the clear uv top coat. 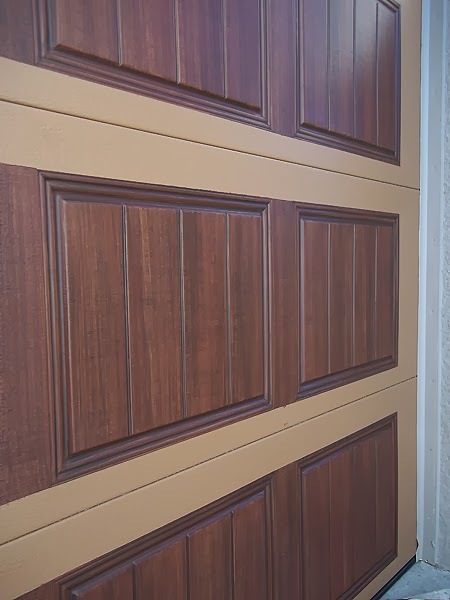 However today it was too cold to do that so I have to wait for a warmer day. 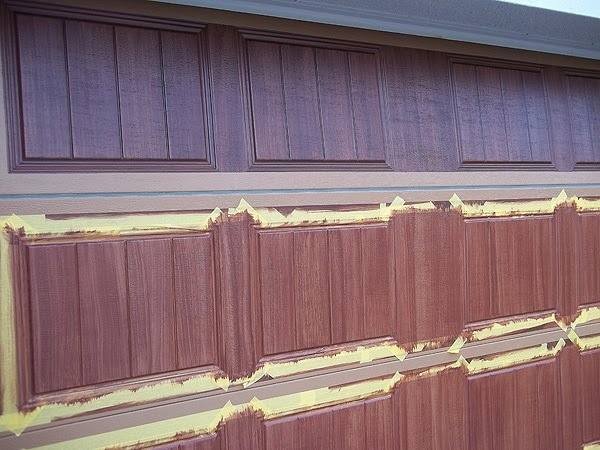 No worries there though as I use a top quality exterior paint anyway. 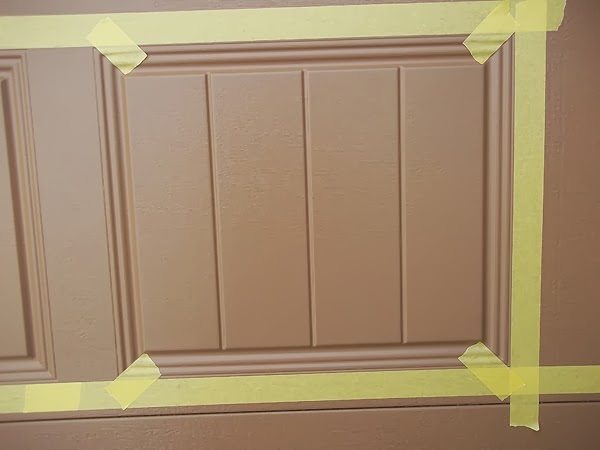 The clear top coat I apply is just me going the extra mile to provide the best possible job I can. 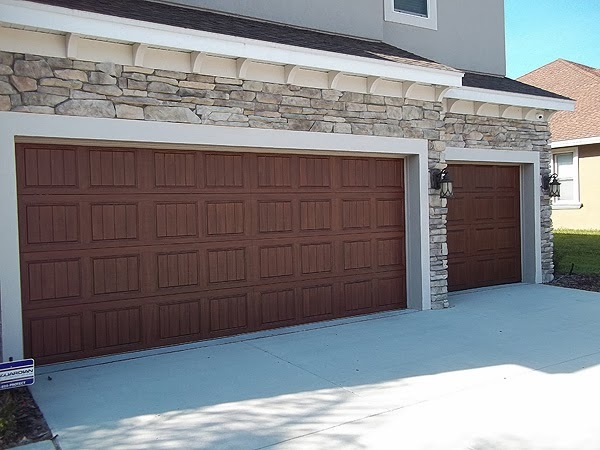 The garage doors really did come out great. 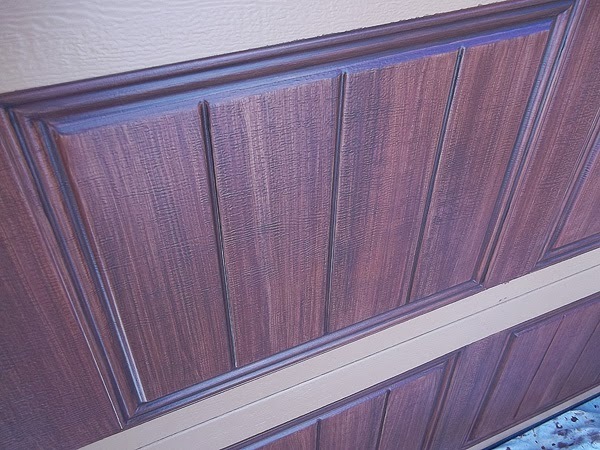 I got several nice comments from the neighbors this week as they passed by, even handed out a few cards. 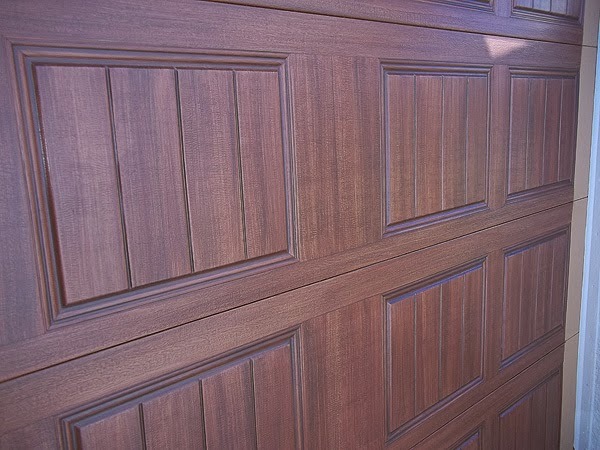 I can't wrap up this project without one more look at the detail. 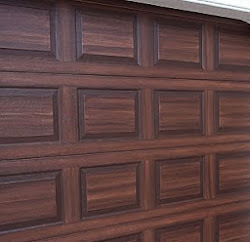 I really love to paint a typical steel garage to look like wood. 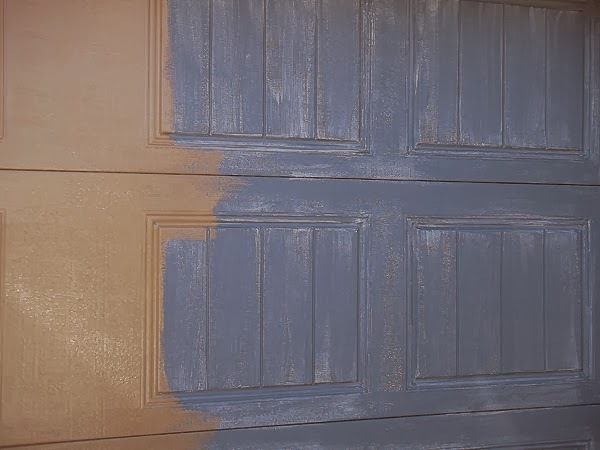 It makes a huge difference in the appearance of a home.